What happens when you ask for something? A couple of weeks ago I presented Amman Imman and the Wells of Love opportunity to a group of 13 middle school students at the Boyd School. 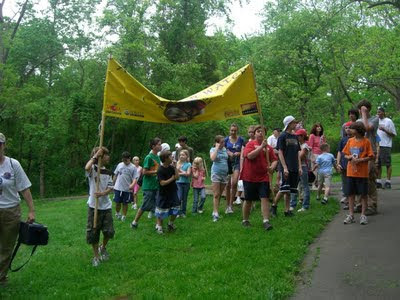 The Boyd School consists of five campuses in Northern Virginia with a total of around 400 students. Boyd offers students the benefits of an enriching Montessori curriculum that fosters the developement of "a life-long love of learning, a strong social conscience, and a spirit of discovery and independence as they pursue their full academic and personal potential." For the last three years, under the direction of teacher Rodney Berthold, Boyd students have been bringing these values to fruition through their partnership with Amman Imman. 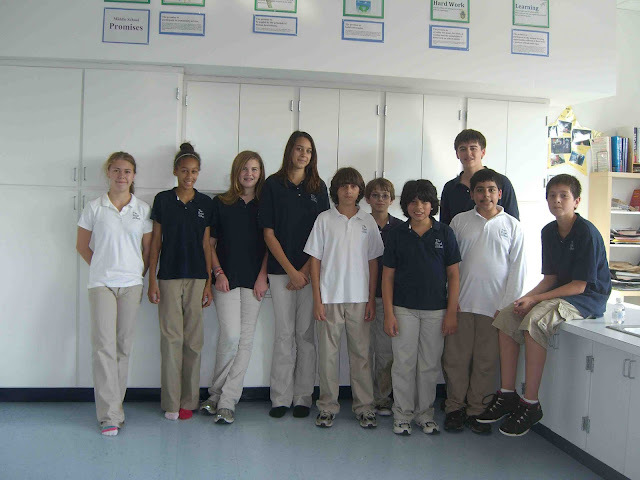 Since Fall 2007, when middle school students attended the Global Citizenship Action Project conference in New York City, the Boyd middle school class has been educating their community and raising funds toward a Well of Love. It was at GCAP that 7th grader Maya heard Ariane Kirtley describe the tribulations that the people of the Azawak face due to the lack of water in the region: children fetching minimal amounts of muddy water left in drying marshes over the 9 month dry season, people traveling unheard of distances (35 miles in a day) in search of water, half of the children dying due to illnesses associated with dehydration. Maya took Ariane's call for help to heart and solicited sponsors for A Walk for Water in the spring 2008. Her initiative propelled the rest of the school to further action. Maya and her fellow Boyd students joined other schools in raising $12,000 toward a Well of Love. Diligently continuing their outreach in spring 2009, Boyd students organized their own A Walk For Water at their local park, raising money and gathering support with the help of students from their various campuses. Maya has since graduated, but Rodney Berthold still refers to the lessons that Maya brought forth. "If you want something, you have to ask for it," he tells the students. For 2009-2010, these middle school leaders are asking all the students in the five Boyd campuses to play a big role in helping the people of the Azawak gain access to water. They are ramping up their efforts by investing their time and energy in fundraising campaigns and project presentations. During their community service week this fall, they made crafts for their Hand in Hand campaign which they plan to sell to the school community at their Holiday Fair. In the upcoming weeks and months, they will do presentations for younger students in the school. In May, these Heroes of Compassion plan to lead the entire community in a comprehensive school-wide fundraising event. Older students will collect sponsorships for A Walk for Water and younger students will improve their athletic skills while raising funds in an Amman-athon. Our Heroes of Compassion are discovering that they have the power to make something happen. It starts with asking.